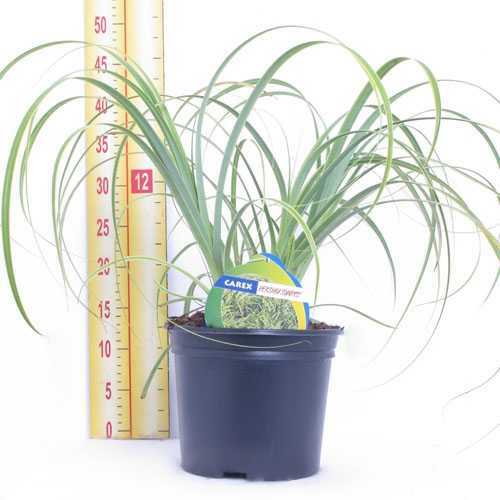 The world's first variegated Carex trifida. This distinguished New Zealand species has a stout growth habit, the broad mid green foliage of this new selection is edged with an elegant gold margin and a glaucus bloom on the underside of the foliage. A very handsome trouble-free selection. Ideal for mass planting or for pots and containers in the modern courtyard garden.